Zárásig 2 h 40 min. A "Piros Autószervizt" a Calor-Daru Kft. alapította. A "Piros Autószerviz" egy általunk kitalált "fantázia név", mert úgy gondoltuk, hogy Kedves Ügyfeleink könnyebben megjegyzik ezt az elnevezést. Ennek megfelelően, a műhely arculatát, megjelenését, a nevéhez illően próbáltuk kialakítani. 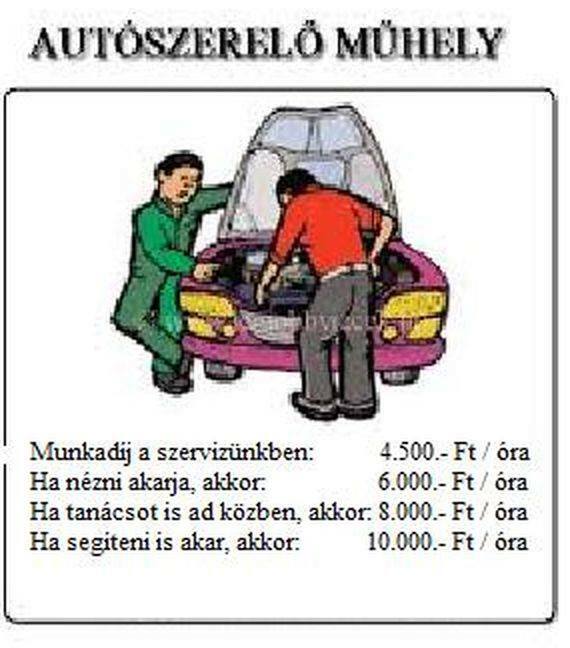 Autószervizünk, márka, és típus független autószerviz, melyben teljes körűen foglalkozunk: személy, haszon, kis és nagyteher, gépjárművek valamint munkagépek javításával, szervizelésével, karbantartásával. RED Car of the Calor-Crane Ltd. was founded. 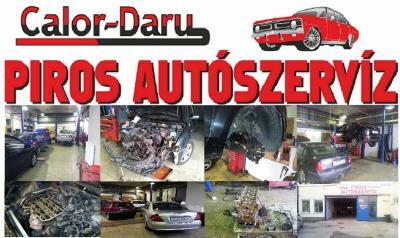 Repair of motor vehicles since 1996. Márkafüggetlen service station and service station type. Year 2007, we have decided that the Calor-Crane Ltd., autószervizének change the appearance of the image. As a first step renovated workshop, during which the Latvian red color is dominant. Latvian red building stands, the radiators were red, red Latvian newly acquired tool kit and a compressor, and last but not least, but the professionals in the fashion of today's working clothes were after. Of course, they also improve the color red in your vehicle. After the choice of name was also given. The "Red Car" invented by a "fancy name" because we thought our clients to more easily observe the name. 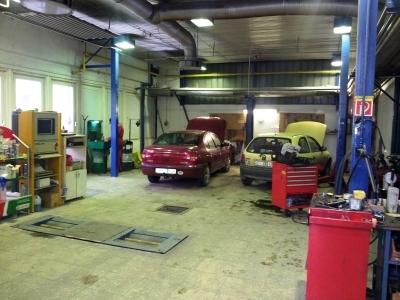 This is obvious in Latvian as the red "spell out the workshop developed the image appearance. This level of emphasis placed on our site, and also szervizautónkon. After this great transformation, we hope that our customers not only better the workshop are listed, but the quality of work carried out to provide an assurance that our customers leave us with satisfaction. I hope it brings all the confidence in our professional past clients, and we will be pleased to offer a familiar, friendly and circles. Before the patch we still quote from törtnt only after consultation with the client we get, and only in the event of an unexpected, unforeseen problem emerges out of the repair. We do not want to get rich at the same time. Our principle is that, if the customer is satisfied with us, then you can safely recommend us your friends and back tterem us. We attach great importance to the further training of employees. 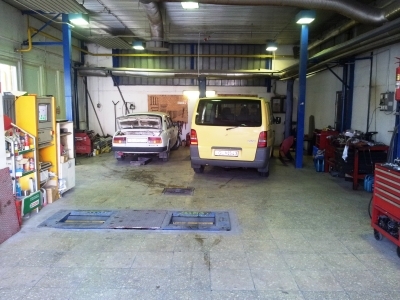 Accordingly, all car mechanic, Karosszérialakatos and autóvillamossági colleague master technician profession after successful completion holder of a master, which is reflected in their professional knowledge, abilities. Címünk: 1037 Budapest Bojtár utca 33. Szervizünket Ó-Budán, a III. kerületben, a Bojtár utca - Csillaghegyi út kereszteződésében találja meg, az egykori Hyundai Tarján autószalon területén. Ha megérkezik szervizünkbe, Kérem Hajtson Be A Kapun, Áthaladva A Sorompón, Egyenesen Tovább, A Szervizút Legvégén, "Koppanásig" Haladva, Érkezik Meg A Műhelyünkbe. Teljes mértékig elégedett vagyok a céggel, ez elvégzett munka kifogásolhatatlan. Köszönettel:S Ferenc. Írjon véleményt a(z) Piros Autószerviz Calor-Daru Kft részére!